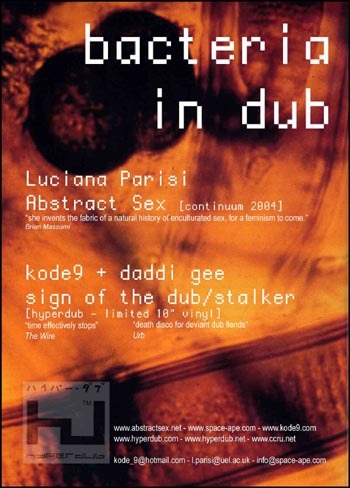 gee's 'Sign of the Dub'/'Stalker'. daddi gee, accompanied by video works by Space Ape. Hey you London-based bloggaz, you should all come to this. Matt, Eden, Jim, Oliver - it'd be a great chance to catch up with y'all. Luke, do you work Saturday? Out of town this weekend but remember me to the man hyperdub - hope it goes well... good to see someone trying to do something a bit different.